I know most of you wonder who's Marco? But I actually went by Tony all the time, only the teachers called me Marco. I hung out with my older brothers Angel and Carlos they were class of 88 I tried to keep a low profile at school and did my partying outside of school. At the age of 20 I began dating little Valerie Hernandez also from Huntington Park High School. We now have 3 great kids and currently live in Fontana California. We have been blessed over the years and living in the Inland Empire has been great. We do miss all our old HP friends and it's nice to run into each other from time to time. Tony Granados has a birthday today. 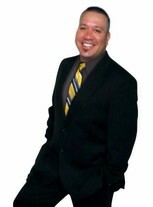 Tony Granados updated profile. View. 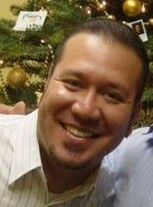 Tony Granados changed "Now" picture. 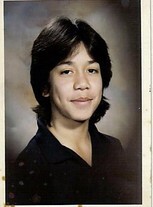 Tony Granados changed "Then" picture. Tony Granados changed profile picture. Tony Granados added a video to gallery. Tony Granados added a photo to profile gallery. My wife and I in Laguna Beach.